It's time for serious tennis once again. It's also time for John Hovis to give some thoughts on the draw, remind everyone of his predictions and provide nuggets of wisdom on the tournament. Down to business. The courts appear to be marginally quicker this year, although weather will play a role in this area too. Heat and humidity will again be a key factor. Form going into the tournament does not necessarily mean the guarantee of a good tournament. Davydenko, Dmitrov, Radwanska, Tomic and Ferrer have all been playing very competent tennis recently. Davydenko and Tomic may well come up against Fed. Ferrer has a tough draw, as does Dmitrov. I expect some surprises. Fed hasn't hit a ball in anger and is notoriously slow out of the blocks. He may not even reach the quarters for the first time since 1934. I suspect that it won't be seen as a disaster within the RF camp should that happen. Del Potro may have a tough time going deep into the tournament, as may Raonic despite heavy expectations this year. John Hovis can see early exits for Azarenka & Kvitova. Finally, having watched the warm-up tournaments, JH will reiterate his predictions. 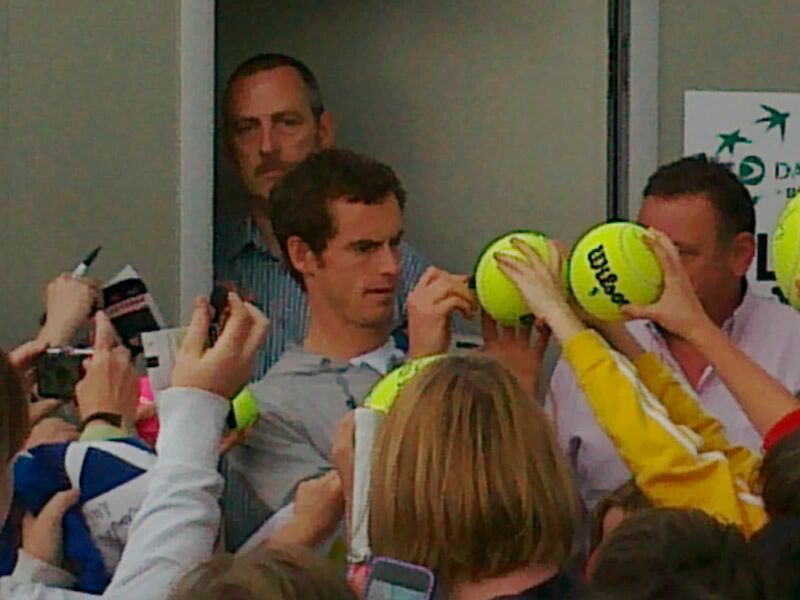 Murray and Serena. I would like Fed to win one more Aussie Open but a combination of rustiness and a very tough draw will put paid to that. Another of the JH Wimbledon photos, from the Murray v Baghdatis match. John Hovis has taken the plunge and bought a new back-up bat. My hammer of choice is the BLX Blade Lite which provides excellent control and spin. 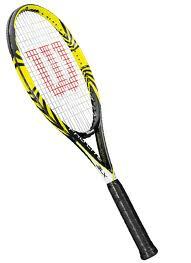 I did want to have a back-up racquet which provides more control and power than my unwieldy N 6.3, which is cumbersome. Having suffered a catastrophic string break before an away tie in the West Of Scotland doubles league last year, I didn't want to be in the position of pressing the n6.3 into service again. 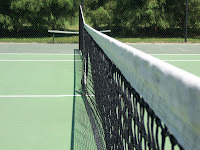 (Don't worry, we won the rubber 2-1...but lost the match 5-4 due to choking in the lower orders). A lengthy absence from the courts due to a wrist injury has led to a new tact...looking for a racquet even lighter than my Blade Lite. I found one...The Pro Lite BLX. 255g unstrung, the bat is very head light, putting minimal strain on my wrist. Seems to lack a bit of 'pop' and felt a bit soft, though probably just need to get used to it. I've hardly hit a ball in anger since October. I'll review both of my sticks in the fullness of time. By the way, the Pro-Lite was a bargain at £59.99. John Hovis approves of low, low prices.